3. 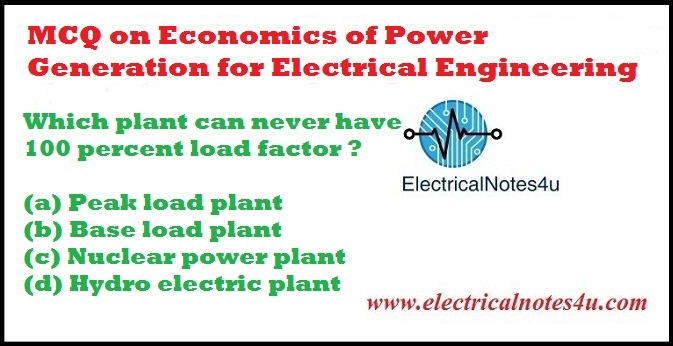 Which plant can never have 100 percent load factor ? 12. _______ will offer the least load. 13. _______ industry has the least power consumption per tonne of product. 15. 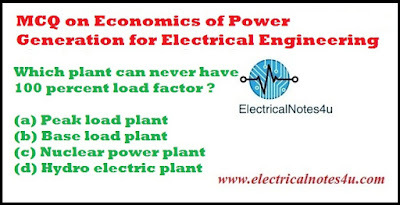 Which of the following is the essential requirement of peak load plant ? 16. A synchronous condenser is virtually which of the following ? 23. Which lightening stroke is most dangerous ?